In stock - low quantity. Order in the next 6 hours, 18 minutes and it will go out today! Jim Steinmeyer is an author, consultant and producer, as well as an internationally respected designer of illusions and theatrical special effects. 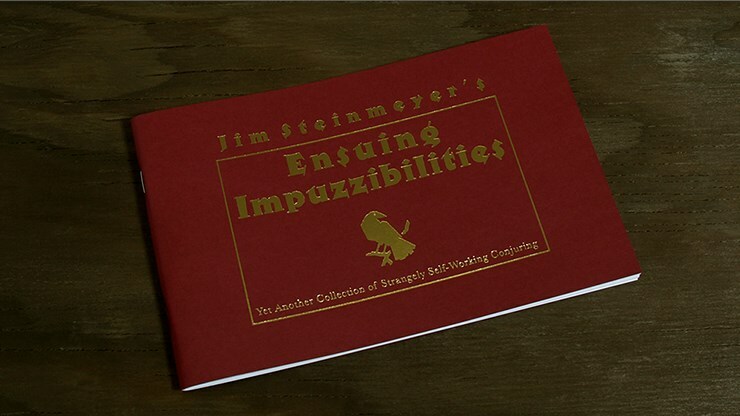 In this, his fourth book in his Impuzzibilities Series, we get more of a glimpse into the creative genius behind some of the world's greatest magic, featuring more astonishing self-working effects. In which you name the card selected randomly from a packet of eight. A Triumph routine conducted through the telephone or video. A prediction added to Miraskill. An amazing three-part card routine. A prediction using a handful of cue cards. Also covered is a series of innovative equivoque variation for playing card selections. The format matches his previous books and is 48 pages in total.